Emergency Dentists USA is proud to be able to provide you with information about the best emergency dentists in Salt Lake City, UT. Before you find yourself frustrated searching for an emergency dentist on your own, take a moment to look at the list of dental clinics in Salt Lake City below. Here, you will be able to see their office hours, phone, address, etc. You can also reach out and call our 100% free referral line and let our staff find the perfect emergency dentist for you! Very happy I found Emergency Dentists USA! Their staff is amazing and the website is full of super helpful information if you are dealing with a dental emergency. There are a number of options available to you in Salt Lake City so you do not have to simply accept your dental pain. 24-hour emergency dentists in Salt Lake City are available around the clock to provide you with the care you need. These dentists can perform any dental procedure you need and this option is ideal for patients who need to be seen immediately. In addition to 24-hour options, you will find that there are after hours’ clinics in Salt Lake City and most are open until 8:00 pm throughout the week and they offer weekend hours as well. These types of offices are ideal for patients who have mild to moderate dental needs. We have made finding an emergency dentist in Salt Lake City easy. All you have to do is take a look at the list below. Once you find an emergency dentist near you, you can call their office and schedule your appointment. Description: Call to be connected with the perfect dentist for you. 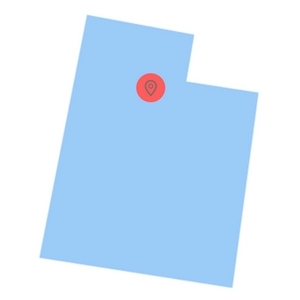 Salt Lake City is a large city and we have the connections to find a dentist to fit your needs, and can get you an appointment immediately. Find Utah 24 hour dentists today. Description: The dental providers at Legacy Dental are prepared to provide you with comprehensive implants, restoration, cosmetic, sedation, and general dentistry. The doctors have more than 22 years of experience and can handle all of your dental needs from general questions about tooth decay to emergency situations that may arise. Description: If you have a dental emergency, you can turn to Olympus View Dental. This office is prepared to treat ANY dental emergency you have throughout the week, on the weekend, and even after hours. This office is home to several dentists all of whom are trained and experienced in all types of dental problems. Description: Salt Lake Dental Center’s Dr. Stoker is ready to see you in his office and provide you with the best dental care in all of SLC. He is committed to making sure your experience here is one to remember for the right reasons. This office specializes in all types of dental procedures to include chipped tooth repair, full mouth rehabilitation, and more. Description: Dr. Palmer wants you to love your smile and is ready to educate you about your teeth and how to properly take care of them. He provides his services to patients of all ages and specializes in dental cleaning, dental implants, orthodontic care, cosmetic dentistry, and much more. Whether you have a question about one of your teeth or you want an experienced dentist to perform the procedure you need, you can turn to Dr. Palmer. When you call to make your appointment at your Salt Lake City emergency dental clinic, you should inquire as to whether or not your insurance is accepted and how much the appointment will cost. If you are unsure of the procedure you need, you can ask for general pricing, as this will allow you to plan for how much you can expect to pay. You should bring any and all medical records, x-rays, and pertinent information with you, should it be available. Most dental offices, emergency included, will require payment for services either before the procedure begins or once the procedure is completed, so do be prepared to pay. If you suffer from any allergies, you should let the office staff and dentist know, so that he or she can prepare properly for your appointment. In addition, if you suffer from dental anxiety, you should inquire about available sedation options. There are several dental emergencies that can arise and cause a lot of pain. Many of these conditions take some time to form, but others will happen quickly, such as a knocked-out tooth, chipped tooth, or a laceration. All dental emergencies need to be treated quickly to ensure that there is no chance that the problem will get worse or spread. If you delay care, you may end up with some serious complications. If you have chipped your tooth, you should recover the pieces and save them until your dental appointment. Once you have the pieces, rinse your mouth out with warm water. If there is any bleeding present, you should place a piece of moist gauze on the area and apply pressure for 15 minutes or until the bleeding stops. You can apply a cold compress to the area if you are suffering from pain or swelling. If you have chipped your tooth, you should call your local Salt Lake City emergency dentist right away to receive proper care. A knocked-out tooth can happen at any time and usually occurs when the tooth is hit or you are involved in an accident. If your tooth has been knocked out, you should recover it immediately and only hold it by the crown. You want to avoid touching the roots. If the tooth is dirty, gently rinse it off, but leave the tissues intact. You should place the tooth back into the socket, but if you cannot, place it in a cup of milk. Call your local Salt Lake City emergency dentist immediately. 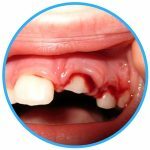 The best chance of saving a knocked-out tooth occurs when the tooth is reimplanted within an hour or two of the accident. Tooth trauma can be caused by any type of accident from a car crash to a sports injury. 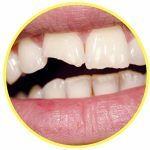 When these types of accidents occur, they can cause damage to your tooth and may even knock it out of your mouth. If you have sustained any type of tooth trauma, you should seek out immediate dental care. If your tooth has been chipped, broken, or knocked out, you want to make sure that you recover the tooth or pieces of the tooth to take to the dentist with you. If bleeding is present, apply a piece of moist gauze and apply pressure for 10 to 15 minutes. If you have sustained tooth trauma caused by any type of accident, contact your local Salt Lake City emergency dentist today. If you head to an emergency dentist in Salt Lake City, you may be told that you need to have an emergency tooth extraction performed. When your tooth suffers trauma or it cannot stand on its own or with the support of other methods, such as a crown or filling, it may need to be extracted. There are some dental issues that exist that will require a tooth extraction on the spot. Do know that your dentist will try to save the tooth first and that extraction is a final means. If you have been told that you need to have a tooth extracted, you should do so immediately to prevent any further complications. The longer you wait, the more complicated the condition can become. The recovery time from an emergency tooth extraction is only a day or two. You should follow all instructions provided to you by your emergency dentist and take all prescribed medications. If you have a dental emergency, you may think that you should head to your local emergency room to receive care. While you can head there, especially if it is your only option, it is not always the best option for you. Patients often head to the ER more and more, but the doctors on staff are not dentists and they cannot perform any dental procedures on you, which means you will still be left with your dental problem. The doctors on staff in the ER can really only look at your tooth and prescribe pain medication, should you need it. An emergency dentist in Salt Lake City is the best place for you to go. These dentists are open late usually and can perform the procedure you need on the spot. Your pain will be alleviated and your dental problem handled to ensure you remain in good health. There are times when it would make sense for you to head to the ER and those times include when you suffer any type of trauma, fall down, or break your jaw. Tooth pain is not something that you want to leave untouched, as it can grow quickly in intensity and leave you in a vulnerable position. If you avoid care for your tooth problem, the situation can get worse and cause permanent damage to the tooth or other areas of your mouth. No matter the dental emergency you are experiencing, seek out the care you need now. The Emergency Dentists USA portal is designed to provide you with information only and should not be used as a substitute for professional advice from a medical provider. It is recommended that before you visit any new dentist, you check their credentials and licenses to ensure they are who they say and hold the appropriate education and licenses. To do so, you can visit the local Utah or Salt Lake City dental society or check with the Utah Government Licensee Lookup Search and the Utah Division of Occupational and Professional Licensing Center.